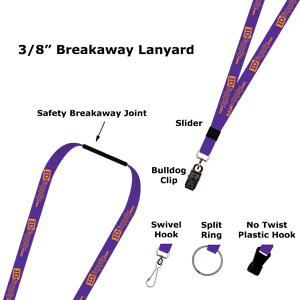 LN375SS1 3/8" One Color Print Lanyards. Silk-Screen, one color, two sided printing can contain any one color logo or text design and we do not charge setup fees if we use your vector artwork. 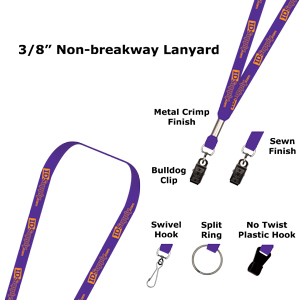 Your image will be displayed on both the front side and back side of the lanyard. Also available with a breakaway joint for added safety.